Iacob BC et al., Recent advances in capillary electrochromatography using molecularly imprinted polymers. Iacob BC et al., Simultaneous Enantiospecific Recognition of Several [beta]-Blocker Enantiomers Using Molecularly Imprinted Polymer-Based Electrochemical Sensor. Iacob BC et al., Study of the Molecular Recognition Mechanism of an Ultrathin MIP Film-Based Chiral Electrochemical Sensor. Bodoki AE et al., Improved Enantioselectivity for Atenolol Employing Pivot Based Molecular Imprinting. Cenci L et al., Surface plasmon resonance based on molecularly imprinted nanoparticles for the picomolar detection of the iron regulating hormone Hepcidin-25. King HA et al., Generation of ribosome imprinted polymers for sensitive detection of translational responses. Ciuffi KJ et al., Polymeric organic-inorganic hybrid material containing iron(III) porphyrin using sol-gel process. Ciuffi KJ et al., Synthesis of fluorinated metalloporphyrinosilica imprinted with templates through sol-gel process. Iamamoto Y et al., Porphyrinosilica and metalloporphyrinosilica: Hybrid organic-inorganic materials prepared by sol-gel processing. Sacco HC et al., Synthesis of manganese porphyrinosilica imprinted with templates using the sol-gel process. Lépinay S et al., Molecular imprinted polymer-coated optical fiber sensor for the identification of low molecular weight molecules. Algieri C et al., Emerging Tools for Recognition and/or Removal of Dyes from Polluted Sites: Molecularly Imprinted Membranes. Settipani J et al., Theoretical aspects of peptide imprinting: screening of MIP (virtual) binding sites for their interactions with amino acids, di- and tripeptides. Monier M et al., Surface ion-imprinted amino-functionalized cellulosic cotton fibers for selective extraction of Cu(II) ions. Abdallah NA et al., Comparative Study of Molecularly Imprinted Polymer and Magnetic Molecular Imprinted Nanoparticles as Recognition Sites for the Potentiometric Determination of Gemifloxacin Mesylate. Abdallah NA et al., Potentiometric sensor of graphene oxide decorated with silver nanoparticles/molecularly imprinted polymer for determination of gabapentin. Al-Degs YS et al., Preparation of highly selective solid-phase extractants for Cibacron reactive dyes using molecularly imprinted polymers. Ibrahim MNM et al., Purification of vanillin by a molecular imprinting polymer technique. Bhawani SA et al., Synthesis of molecular imprinting polymers for extraction of gallic acid from urine. Yusof N et al., Preparation and Characterization of Molecularly Imprinted Polymer as SPE Sorbent for Melamine Isolation. Yusof NA et al., Synthesis and Evaluation of a Molecularly Imprinted Polymer for Pb(II) Ion Uptake. Yusof NA et al., Synthesis and Characterization of a Molecularly Imprinted Polymer for Pb2+ Uptake Using 2-vinylpyridine as the Complexing Monomer. Kartasasmita RE et al., Synthesis of selective molecularly imprinted polymer for solid-phase extraction of glipizide by using a pseudo-template. Hasanah AN et al., Study of the binding ability of molecular imprinted solid phase extraction for glibenclamide by optimizing template:monomer:crosslinker ratio. Hasanah AN et al., Tetrabutylammonium methacrylate as a novel receptor for selective extraction of sulphonylurea drugs from biological fluids using molecular imprinting. Amin S et al., Interaction binding study of dimethylamylamine with functional monomers to design a molecular imprinted polymer for doping analysis. Amin S et al., Interaction Study, Synthesis and Characterization of Molecular Imprinted Polymer Using Functional Monomer Methacrylate Acid and Dimethylamylamine as Template Molecule. Sanagi MM et al., Molecularly imprinted polymers for solid phase extraction of orghanophosphorus pesticides. See HH et al., Determination of triazine herbicides using membrane-protected carbon nanotubes solid phase membrane tip extraction prior to micro-liquid chromatography. Sanagi MM et al., Determination of organophosphorus pesticides using molecularly imprinted polymer solid phase extraction. Sanagi MM et al., Molecularly imprinted polymer solid-phase extraction for the analysis of organophosphorus pesticides in fruit samples. Ibrahim WAW et al., Application of Solid-Phase Extraction for Trace Elements in Environmental and Biological Samples: A Review. Takeuchi T et al., Molecularly Imprinted Tailor-Made Functional Polymer Receptors for Highly Sensitive and Selective Separation and Detection of Target Molecules. Kajitani H et al., Asdorption Characteristics and Application of Caffeine-Imprinted Polymer. Kajitani H et al., Caffeine-Imprinted Polymer. Kajitani H et al., Synthesis and Adsorption Characteristics of Caffeine-Imprinted Polymer. Lee SW et al., Molecular imprinting of azobenzene carboxylic acid on a TiO2 ultrathin film by the surface sol-gel process. Lee SW et al., Molecular imprinting of protected amino acids in ultrathin multilayers of TiO2 gel. He JH et al., Imprinting of coordination geometry in ultrathin films via the surface sol-gel process. Ichinose I et al., Ultrathin composite films: An indispensable resource for nanotechnology. He J et al., Memorization of coordination environments in ultrathin titania films. Ichinose I et al., Wrapping and inclusion of organic molecules with ultrathin, amorphous metal oxide films. Ichinose I et al., Imprinting and selective binding of di- and tri-peptides in ultrathin TiO2-gel films in aqueous solutions. Lee SW et al., Enantioselective binding of amino acid derivatives onto imprinted TiO2 ultrathin films. Haginaka J et al., Uniformly-sized, molecularly imprinted polymers for (-)-epigallocatechin gallate, -epicatechin gallate and -gallocatechin gallate by multi-step swelling and polymerization method. Kawahara Y et al., Preparation of a temperature-responsive smart paper using a molecularly imprinted polymer and lipid bimolecular membrane. Andrade FN et al., Determination of trace levels of triazines in corn matrices by bar adsorptive microextraction with a molecularly imprinted polymer. Ide T et al., Lanthanide selective adsorption by ion-imprinted polymer with chelidonic acid monoamide groups. Minoura N et al., Molecularly imprinted polymer membranes with photoregulated template binding. Minoura N et al., Preparation of azobenzene-containing polymer membranes that function in photoregulated molecular recognition. Idil N et al., Whole cell based microcontact imprinted capacitive biosensor for the detection of Escherichia coli. Idil N et al., Imprinting of Microorganisms for Biosensor Applications. Perçin I et al., Microcontact Imprinted Plasmonic Nanosensors: Powerful Tools in the Detection of Salmonella paratyphi. Rahman SKA et al., Evaluation of porogen factors for the preparation of ion imprinted polymer monoliths used in mercury removal. Idziak I et al., Polymer-catalyzed aminolysis of covalently imprinted cholic acid derivative. Idziak I et al., A molecularly imprinted polymer for 17a-ethynylestradiol evaluated by immunoassay. Idziak I et al., Simple NMR experiments as a means to predict the performance of an anti-17[alpha]-ethynylestradiol molecularly imprinted polymer. Puoci F et al., Spherical molecularly imprinted polymers (SMIPs) via a novel precipitation polymerization in the controlled delivery of sulfasalazine. Puoci F et al., Molecularly imprinted solid phase extraction for detection of sudan I in food matrices. Puoci F et al., Molecularly imprinted polymers for selective adsorption of cholesterol from aqueous environment. Puoci F et al., Molecularly imprinted polymers for 5-fluorouracil release in biological fluids. Puoci F et al., Molecularly imprinted solid phase extraction for the selective HPLC determination of [alpha]-tocopherol in bay leaves. Puoci F et al., Molecularly imprinted solid-phase extraction for cholesterol determination in cheese products. Puoci F et al., Molecularly Imprinted Polymers for [alpha]-Tocopherol Delivery. Puoci F et al., Stimuli-responsive molecularly imprinted polymers for drug delivery: A review. Cirillo G et al., Imprinted hydrophilic nanospheres as drug delivery systems for 5-fluorouracil sustained release. Curcio M et al., Selective recognition of methotrexate by molecularly imprinted polymers. Puoci F et al., New restricted access materials combined to molecularly imprinted polymers for selective recognition/release in water media. Cirillo G et al., Molecularly imprinted polymers as drug delivery systems for the sustained release of glycyrrhizic acid. Cirillo G et al., Gastro-intestinal sustained release of phytic acid by molecularly imprinted microparticles. Cirillo G et al., Molecular imprinting polymerization by Fenton reaction. Curcio M et al., Selective Determination of Melamine in Aqueous Medium by Molecularly Imprinted Solid Phase Extraction. Parisi OI et al., Surface modifications of molecularly imprinted polymers for improved template recognition in water media. Cirillo G et al., Molecularly imprinted polymers for the selective extraction of glycyrrhizic acid from liquorice roots. Puoci F et al., Molecularly imprinted polymers in drug delivery: state of art and future perspectives. Curcio M et al., Quercetin-Imprinted Nanospheres as Novel Drug Delivery Devices. Arrua RD et al., Macroporous Monolithic Polymers: Preparation and Applications. Chen C et al., A Wireless Hybrid Chemical Sensor for Detection of Environmental Volatile Organic Compounds. Iglesias RA et al., Hybrid Separation and Detection Device for Analysis of Benzene, Toluene, Ethylbenzene, and Xylenes in Complex Samples. Negi I et al., Novel monitor paradigm for real-time exposure assessment. Chen C et al., A new sensor for the assessment of personal exposure to volatile organic compounds. Yoshimi Y et al., Metaniche session 2016: Tailor-made sensors for rapid Therapeutic Drug Monitoring - Interactions between Biomaterial Physicists, Chemical Engineers and Clinicians for successful translation of technologies in Healthcare. Ishii T et al., D/L selective re-binding of saccharide-imprinted fullerene-bisadducts based on a saccharide-boronic acid interaction: Development of a molecular imprinting technique useful in a homogeneous system. Kanekiyo Y et al., Novel nucleotide-responsive hydrogels designed from copolymers of boronic acid and cationic units and their applications as a QCM resonator system to nucleotide sensing. Inoue K et al., Ionic Conductivity of Cross-linked Polymethacrylate Derivatives/Cyclophosphazenes/Li+ Salt Complexes. Sagawa T et al., Esterolytic catalyses of self-assembled monolayers prepared by molecular imprinting of a transition-state analogue. Sagawa T et al., Catalytic and stereoselective activities of cross-linked polymers imprinted with reaction intermediate for enzyme-like reactions. Sagawa T et al., Rate-enhancement of hydrolysis of long-chain amino acid ester by cross-linked polymers imprinted with a transition-state analogue: evaluation of imprinting effect in kinetic analysis. Minami K et al., Open-Sandwich Molecular Imprinting: Making a Recognition Matrix with Antigen-Imprinted Antibody Fragments. Younis MR et al., Molecularly imprinted porous beads for the selective removal of copper ions. Yashima E et al., Helical Polymers: Synthesis, Structures, and Functions. Tokonami S et al., Detection of Biomaterials and Bacteria Using Functionalized Nano- and Micro-spaces. Tokonami S et al., Review: Novel sensing strategies for bacterial detection based on active and passive methods driven by external field. Tokonami S et al., Mechanism in External Field-mediated Trapping of Bacteria Sensitive to Nanoscale Surface Chemical Structure. Morihara K et al., Footprint catalysis .8. Molecular imprinting for footprint cavities on an active clay surface. Yoshimi Y et al., Gate effect Yoshimi Y et al., Gate Effect Hattori K et al., Gate effect of theophylline-imprinted polymers grafted to the cellulose by living radical polymerization. Furukawa S et al., Effect of imprinting sol-gel immobilized lipase with chiral template substrates in esterification of (R)-(+)- and (S)-(-)-glycidol. Kawakami K et al., Enhancement of protease activity in transesterification of glycidol with vinyl n-butyrate by entrapment into alkyl-substituted silicates and pretreatment with a substrate. Okahata Y et al., Enhancing enantioselectivity of a lipid-coated lipase via imprinting methods for esterification in organic-solvents. Kato K et al., Polymer surface with graft chains. Ikai T et al., Structure Control of Polysaccharide Derivatives for Efficient Separation of Enantiomers by Chromatography. Hoshino F et al., Antibody microarray using molecular-shape imprinting on a polymer containing azo dye. Ikawa T et al., Molecular-shape imprinting and immobilization of biomolecules on a polymer containing azo dye. Ikawa T et al., Molecular Scale Imaging of F-Actin Assemblies Immobilized on a Photopolymer Surface. Narita M et al., Photoinduced Immobilization of Biomolecules on the Surface of Azopolymer Films and Its Dependence on the Concentration and Type of the Azobenzene Moiety. Narita M et al., Aminoazopolymers with the Capability of Photoinduced Immobilization Developed for Protein Arrays with Low Photoluminescence. Ikawa T et al., Virus-Templated Photoimprint on the Surface of an Azobenzene-Containing Polymer. Tanabe K et al., Recognition of barbiturates in molecularly imprinted copolymers using multiple hydrogen-bonding. Kugimiya A et al., Recognition in novel molecularly imprinted polymer sialic acid receptors in aqueous media. Yano K et al., Stereoselective recognition of dipeptide derivatives in molecularly imprinted polymers which incorporate an L-valine derivative as a novel functional monomer. Nomura Y et al., Selective recognition of 2, 4-dichlorophenoxyacetic acid using a molecularly imprinted polymer. Yano K et al., Molecularly imprinted polymers which mimic multiple hydrogen bonds between nucleotide bases. Ji HS et al., Selective piezoelectric odor sensors using molecularly imprinted polymers. Ji HS et al., Increasing the sensitivity of piezoelectric odour sensors based on molecularly imprinted polymers. Nakashima K et al., Saccharide libraries as potential templates for regio- and chiroselective introduction of two functional groups into fullerene. Siñeriz F et al., Toward an alternative for specific recognition of sulfated sugars. 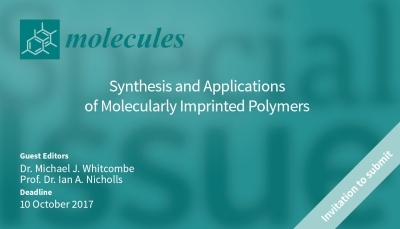 Preparation of highly specific molecular imprinted polymers. Ikeda Y et al., Synthesis of a trisulfated heparan sulfate disaccharide analog and its use as a template for preliminary molecular imprinting studies. Ikegami S et al., Novel Recycling System for Organic Synthesis via Designer Polymer-Gel Catalysts. Hosoya K et al., Improvement in performance of polymer-based packing materials for HPLC-based molecular imprinting technique. Hosoya K et al., Preparation of polymer-based adsorbents for solid-phase extraction-adsorption properties and addition of selectivity. Hosoya K et al., Development of novel recognition and evaluation procedures for structurally similar compounds based on spatial multi-points interactions. Hosoya K et al., Selective surface modification technique for improvement of chromatographic separation selectivity for sugar derivatives. Kubo T et al., On-column concentration of bisphenol A with one-step removal of humic acids in water. Hosoya K et al., A molecular recognition strategy towards tetra-chlorinated dibenzo-p-dioxins, TCDDs. Ikegami T et al., Bisphenol A-recognition polymers prepared by covalent molecular imprinting. Ikegami T et al., Synthetic polymers adsorbing bisphenol A and its analogues prepared by covalent molecular imprinting using bisphenol A dimethacrylate as a template molecule. Ikegami T et al., Covalent molecular imprinting of bisphenol A using its diesters followed by the reductive cleavage with LiAlH4. Kubo T et al., Polymer-based adsorption medium prepared using a fragment imprinting technique for homologues of chlorinated bisphenol A produced in the environment. Tokonami S et al., Label-Free and Selective Bacteria Detection Using a Film with Transferred Bacterial Configuration. Muratsugu S et al., Chemoselective epoxidation of cholesterol derivatives on a surface-designed molecularly imprinted Ru-porphyrin catalyst. Shiigi H et al., Molecular recognition for bile acids using a molecularly imprinted overoxidized polypyrrole film. Kabanov VA et al., An EPR study of copper(II) complexes with structured polymeric sorbents. Molochnikov LS et al., Synthesis and study of prearranged for nickel sorbents on the basis of polyethylene polyamines. Ilktaç R et al., Molecularly Imprinted Polymer Based Fluorimetric Sensor for the Preconcentration and Determination of 1-Naphthol. Ilktaç R et al., Selective and sensitive fluorimetric determination of carbendazim in apple and orange after preconcentration with magnetite-molecularly imprinted polymer. Illman D, Polymer mimics antibody in drug assay. Clavier CW et al., A method for the preparation of transparent mesoporous silica sol-gel monoliths containing grafted organic functional groups. Imahashi M et al., Concentrating materials covered by molecular imprinted nanofiltration layer with reconfigurability prepared by a surface sol-gel process for gas-selective detection. Imahashi M et al., Olfaction-Inspired Sensing Using a Sensor System with Molecular Recognition and Optimal Classification Ability for Comprehensive Detection of Gases. Watabe Y et al., Reducing bisphenol A contamination from analytical procedures to determine ultralow levels in environmental samples using automated HPLC microanalysis. Watabe Y et al., Improved detectability with a polymer-based trapping device in rapid HPLC analysis for ultra-low levels of bisphenol A (BPA) in environmental samples. Mukawa T et al., Novel strategy for molecular imprinting of phenolic compounds utilizing disulfide templates. Kwon OH et al., Enhancement of catalytic activity of chemically modified subtilisin Carlsberg in benzene by adjustment of lyophilization conditions. Cantarella M et al., Selective photodegradation of paracetamol by molecularly imprinted ZnO nanonuts. Yoshimi Y et al., Stabilized sensing of heparin in whole blood using the 'gate effect' of heparin-imprinted polymer grafted onto an electrode. Dalgakiran D et al., Investigation of photoinduced polymerization of doxycycline-imprinted hydrogels: effect of template on initiator reactivity, conversion, and reaction rate. Inanan T et al., Selective cholesterol adsorption by molecular imprinted polymeric nanospheres and application to GIMS. Inanan T, Cholesterol adsorption from artificial human plasma with molecular imprinted polymeric nanostructures. Ince GO et al., One-Dimensional Surface-Imprinted Polymeric Nanotubes for Specific Biorecognition by Initiated Chemical Vapor Deposition (iCVD). Rincon JE et al., Molecular Imprinted Silica with West Nile Antibody Templates show Specific and Selective Binding in Immunoassays. Björk P et al., Dynamics of complex formation between biological and luminescent conjugated polyelectrolytes - A surface plasmon resonance study. Peeters M et al., Impedimetric Detection of Histamine in Bowel Fluids Using Synthetic Receptors with pH-Optimized Binding Characteristics. Peeters M et al., Thermal detection of histamine with a graphene oxide based molecularly imprinted polymer platform prepared by reversible addition-fragmentation chain transfer polymerization. Ingole PG et al., Methods for separation of organic and pharmaceutical compounds by different polymer materials. Ingole PG et al., Enantiomeric separation of [alpha]-amino acids by imprinted terpolymer membrane. Chaipuang A et al., Synthesis of copper(II) ion-imprinted polymers via suspension polymerization. Carboni D et al., Molecularly imprinted La-doped mesoporous titania films with hydrolytic properties toward organophosphate pesticides. Carboni D et al., Improving the Selective Efficiency of Graphene-Mediated Enhanced Raman Scattering through Molecular Imprinting. Carboni D et al., Magnetic core-shell nanoparticles coated with a molecularly imprinted organogel for organophosphate hydrolysis. Carboni D et al., Selective detection of organophosphate through molecularly imprinted GERS-active hybrid organic-inorganic materials. Jiang Y et al., Graphene Oxide-Silver Nanoparticles in Molecularly-Imprinted Hybrid Films Enabling SERS Selective Sensing. Inoue J et al., Protein imprinted TiO2-coated quantum dots for fluorescent protein sensing prepared by liquid phase deposition. Inoue K et al., Selectivity series in the adsorption of metal-ions on a resin prepared by crosslinking copper(II)-complexed chitosan. Inoue K et al., Chiroselective re-binding of saccharides to the fibrous aggregates prepared from organic gels of cholesterylphenylboronic acid. Kanekiyo Y et al., Facile design of a metal-imprinted surface from a poly(vinyl chloride-co-acrylic acid) poly(propylene glycol) blend. Kanekiyo Y et al., Facile construction of a novel metal-imprinted polymer surface without a polymerisation process. Kanekiyo Y et al., Molecular-imprinting Kanekiyo Y et al., Molecular-imprinting Inoue K et al., Ionic Conductivity of Cross-linked Polymethacrylate Derivatives/Cyclophosphazenes/Li+ Salt Complexes. Mikulska A et al., Polymeric/silicagel hybrid molecularly photoimprinted adsorbents for adenosine and its derivatives. Inoue N et al., Hydrophilic molecularly imprinted polymers for bisphenol A prepared in aqueous solution. Inoue N et al., Erratum to: Hydrophilic molecularly imprinted polymers for bisphenol A prepared in aqueous solution. Akeda K et al., Photoresponsive imprinted polymers with azobenzene moieties. Takeuchi T et al., Photoresponsive porphyrin-imprinted polymers prepared using a novel functional monomer having diaminopyridine and azobenzene moieties. Qiu HB et al., Supramolecular Chiral Transcription and Recognition by Mesoporous Silica Prepared by Chiral Imprinting of a Helical Micelle. Inoue Y et al., Fluorescent molecularly imprinted polymer thin films for specific protein detection prepared with dansyl ethylenediamine-conjugated O-acryloyl l-hydroxyproline. Nakai S et al., Regioselective Molecularly Imprinted Reaction Field for [4 + 4] Photocyclodimerization of 2-Anthracenecarboxylic Acid. Suedee R et al., The use of trichloroacetic acid imprinted polymer coated quartz crystal microbalance as a screening method for determination of haloacetic acids in drinking water. Suedee R et al., Molecularly imprinted polymer-modified electrode for on-line conductometric monitoring of haloacetic acids in chlorinated water. Suedee R et al., Trichloroacetic acid-imprinted polypyrrole film and its property in piezoelectric quartz crystal microbalance and electrochemical sensors to application for determination of haloacetic acids disinfection by-product in drinking water. Meucci VM et al., Determination of phenylbutazone and flunixin meglumine in horse plasma by electro-chemical-based detection coupled to selective extraction with molecularly imprinted polymers. Meucci V et al., Determination of phenylbutazone and flunixin meglumine in equine plasma by electrochemical-based sensing coupled to selective extraction with molecularly imprinted polymers. Meucci V et al., Selective and simultaneous determination of NSAIDs in equine plasma by HPLC with molecularly imprinted solid-phase extraction. Ioan B et al., Optimization and characterization of molecularly imprinted polymers used for nicotinamide analysis. Iordache TV et al., Selecting the nature of imprinted molecular organosilica sieves with gallic acid via thermal analyses. Dima SO et al., Thermal analyses as tools for proving the molecular imprinting with diosgenin and sclareol in acrylic copolymer matrices. Florea AM et al., Operational parameters for the preparation of precursor polymer matrix used in molecular imprinting. Florea AM et al., The structure effect upon gallic acid re-binding in molecularly imprinted organosilica. Florea AM et al., An innovative approach to prepare hypericin molecularly imprinted pearls using a "phyto-template". Lazau C et al., Towards developing an efficient sensitive element for trinitrotoluene detection: TiO2 thin films functionalized with molecularly imprinted copolymer films. Florea AM et al., Evaluation of molecularly imprinted polymer pearls for selective isolation of hypericins. Florea AM et al., One-step preparation of molecularly imprinted hollow beads for pseudohypericin separation from Hypericum perforatum L. extracts. Georgescu BE et al., Application of unusual on/off electrochemical properties of a molecularly imprinted polymer based on an EDOT-thiophene precursor for the detection of ephedrine. Lieberzeit PA et al., QCM sensor array for monitoring terpene emissions from odoriferous plants. Rehman A et al., Multisensor biomimetic systems with fully artificial recognition strategies in food analysis. Iqbal N et al., QCM-Arrays for Sensing Terpenes in Fresh and Dried Herbs via Bio-Mimetic MIP Layers. Afzal A et al., Advanced vapor recognition materials for selective and fast responsive surface acoustic wave sensors: A review. Hussain M et al., Acidic and basic polymers for molecularly imprinted folic acid sensors - QCM studies with thin films and nanoparticles. Iqbal N et al., Imprinted Polyurethane-Gold Nanoparticle Composite Films for Rapid Mass-Sensitive Detection of Organic Vapors. Iqbal N et al., Mass sensitive multi-sensor platform for receptor screening and quantification purposes. Irshad M et al., Molecularly Imprinted Nanomaterials for Sensor Applications. Mujahid A et al., Bioimprinting strategies: From soft lithography to biomimetic sensors and beyond. Iqbal N et al., Layer-by-layer assembly of low-temperature-imprinted poly(methacrylic acid)/gold nanoparticle hybrids for gaseous formaldehyde mass sensing. Haq I et al., Developing imprinted polymer nanoparticles for the selective separation of antidiabetic drugs. Mujahid A et al., Tailoring Imprinted Titania Nanoparticles for Purines Recognition. Afzal A et al., A collaborative effect of imprinted polymers and Au nanoparticles on bioanalogous detection of organic vapors. Iqbal SS et al., Artificial receptors: molecular imprints discern closely related toxins. Lulka MF et al., Molecular imprinting of Ricin and its A and B chains to organic silanes: fluorescence detection. Iqbal Z et al., Rapid CE-UV binding tests of environmentally hazardous compounds with polymer-modified magnetic nanoparticles. Alsudir S et al., Competitive CE-UV binding tests for selective recognition of bisphenol A by molecularly imprinted polymer particles. Clegg JR et al., Student award for outstanding research winner in the Ph.D. category for the 2017 society for biomaterials annual meeting and exposition, april 5-8, 2017, Minneapolis, Minnesota: Characterization of protein interactions with molecularly imprinted hydrogels that possess engineered affinity for high isoelectric point biomarkers. Iranifam M, Analytical applications of chemiluminescence-detection systems assisted by magnetic microparticles and nanoparticles. Iranifam M, Analytical applications of chemiluminescence systems assisted by carbon nanostructures. Rezaei B et al., 3D TiO2 self-acting system based on dye-sensitized solar cell and g-C3N4/TiO2-MIP to enhanced photodegradation performance. Appelblad P et al., Separation and detection of neuroactive steroids from biological matrices. Manesiotis P et al., An artificial riboflavin receptor prepared by a template analogue imprinting strategy. Courtois J et al., Molecularly imprinted polymers grafted to flow through poly(trimethylolpropane trimethacrylate) monoliths for capillary-based solid-phase extraction. Courtois J et al., Interactions of bupivacaine with a molecularly imprinted polymer in a monolithic format studied by NMR. Oxelbark J et al., Chromatographic comparison of bupivacaine imprinted polymers prepared in crushed monolith, microsphere, silica-based composite and capillary monolith formats. Emgenbroich M et al., A Phosphotyrosine-Imprinted Polymer Receptor for the Recognition of Tyrosine Phosphorylated Peptides. Liu MQ et al., Molecularly Imprinted Porous Monolithic Materials from Melamine-Formaldehyde for Selective Trapping of Phosphopeptides. Wierzbicka C et al., Cationic pTyr/pSer imprinted polymers based on a bis-imidazolium host monomer: phosphopeptide recognition in aqueous buffers demonstrated by [mu]-liquid chromatography and monolithic columns. Dmitrienko SG et al., Use of molecular imprinted polymers for the separation and preconcentration of organic compounds. Dmitrienko SG et al., Synthesis and study of the sorption properties of 4-hydroxybenzoic acid-imprinted polymers. Dmitrienko SG et al., Influence of the functional monomer/template ratio in the prepolymerization mixture on the sorption properties of molecularly imprinted polymers of organic compounds. Dmitrienko SG et al., Recognition of hydroxybenzoic acids and their esters by molecularly imprinted polymers. Khan MN et al., Molecular Imprinted Polysiloxanes for Selective Removal of Leucomalachite Green. Visser N et al., Sample preparation for peptides and proteins in biological matrices prior to liquid chromatography and capillary zone electrophoresis. Wu ZZ et al., Bimodal counterpropagating-responsive sensing material for the detection of histamine. Isarankura-Na-Ayudhya C et al., Construction of Molecularly Imprinted Polymers for Cholesterol by Semi-covalent Imprinting Approach and Nitroxide Mediated Radical Polymerization. Nantasenamat C et al., Prediction of selectivity index of pentachlorophenol-imprinted polymers. Nantasenamat C et al., In silico design for synthesis of molecularly imprinted microspheres specific towards bisphenol A by precipitation polymerization. Nantasenamat C et al., Quantitative structure-imprinting factor relationship of molecularly imprinted polymers. Isarankura-Na-Ayudhya C et al., Computational Insights on Sulfonamide Imprinted Polymers. Nantasenamat C et al., A practical overview of quantitative structure-activity relationship. Piacham T et al., Synthesis and Theoretical Study of Molecularly Imprinted Nanospheres for Recognition of Tocopherols. Nantasenamat C et al., Exploring the physicochemical properties of templates from molecular imprinting literature using interactive text mining approach. Piacham T et al., Synthesis and computational investigation of molecularly imprinted nanospheres for selective recognition of alpha-tocopherol succinate. Piacham T et al., A simple method for creating molecularly imprinted polymer-coated bacterial cellulose nanofibers. Piacham T et al., Quercetin-imprinted polymer for anthocyanin extraction from mangosteen pericarp. Rampey AM et al., Characterization of the imprint effect and the influence of imprinting conditions on affinity, capacity, and heterogeneity in molecularly imprinted polymers using the Freundlich isotherm-affinity distribution analysis. Isezaki J et al., Molecularly Imprinted Nanofiber Membranes: Localization of Molecular Recognition Sites on the Surface of Nanofiber. Ishak N et al., Computational modelling and synthesis of molecular imprinted polymer for recognition of nitrate ion. Ishak N et al., Theoretical and experimental studies of ion imprinted polymer for nitrate detection. Kamarudin SF et al., Novel approach for extraction of quercetin using molecular imprinted membranes. Alvarez-Lorenzo C et al., Polymer gels that memorize elements of molecular conformation. Alvarez-Lorenzo C et al., Reversible adsorption of calcium ions by imprinted temperature sensitive gels. Ishida Y et al., Switching of Structural Order in a Cross-Linked Polymer Triggered by the Desorption/Adsorption of Guest Molecules. Amano S et al., Solid-State Hosts by the Template Polymerization of Columnar Liquid Crystals: Locked Supramolecular Architectures around Chiral 2-Amino Alcohols. Weng ZH et al., Preparation of surface molecularly imprinted Ru-complex catalysts for asymmetric transfer hydrogenation in water media. Yang Y et al., Preparation and Catalytic Performances of a Molecularly Imprinted Ru-Complex Catalyst with an NH2 Binding Site on a SiO2 Surface. Miyajima T et al., A physiochemical study on the origin of the imprinting effect. Fukazawa K et al., Preparation of biomolecules recognizable artificial cell membrane surface by a novel molecular imprinting method. Fukazawa K et al., Fabrication of a cell-adhesive protein imprinting surface with an artificial cell membrane structure for cell capturing. Fukazawa K et al., Molecular-NANOintegrated surface for selective protein recognition by molecular imprinting concept. Fukazawa K et al., Direct observation of selective protein capturing on molecular imprinting substrates. Hattori K et al., Gate effect of glucose-imprinted dialysis membrane. Ariga K et al., Intelligent Chiral Sensing Based on Supramolecular and Interfacial Concepts. Yoshimi Y et al., Improved Gate Effect Enantioselectivity of Phenylalanine-Imprinted Polymers in Water by Blending Crosslinkers. Ishii T et al., Regioselective introduction of two boronic acid groups into fullerene using saccharides as imprinting templates. Kawaguchi M et al., Molecularly imprinted solid phase extraction using stable isotope labeled compounds as template and liquid chromatography-mass spectrometry for trace analysis of bisphenol A in water sample. Kitade T et al., Potentiometric immunosensor using artificial antibody based on molecularly imprinted polymers. Kinoshita T et al., Shape Memory Characteristics of O157-Antigenic Cavities Generated on Nanocomposites Consisting of Copolymer-Encapsulated Gold Nanoparticles. Shan XL et al., Spontaneous and specific binding of enterohemorrhagic Escherichia coli to overoxidized polypyrrole-coated microspheres. Yasuyama T et al., A Study of the Various Factors That Affect the Properties of Molecularly Imprinted Polymers. Yasuyama T et al., A Study of the Strength of a Template Molecule-A Functional Monomer Interaction That Affects the Performance of Molecularly Imprinted Polymers and Its Application to Chiral Amplification. Ishkuh FA et al., Synthesis and characterization of paclitaxel-imprinted nanoparticles for recognition and controlled release of an anticancer drug. Esfandyari-Manesh M et al., Paclitaxel molecularly imprinted polymer-PEG-folate nanoparticles for targeting anticancer delivery: Characterization and cellular cytotoxicity. Isikver Y et al., Synthesis and characterization of metal ion-imprinted polymers. Topcu C et al., Electrochemical Determination of Copper(II) in Water Samples Using a Novel Ion-Selective Electrode Based on a Graphite Oxide-Imprinted Polymer Composite. Bow Y et al., Molecularly Imprinted Polymers (MIP) Based Electrochemical Sensor for Detection of Endosulfan Pesticide. 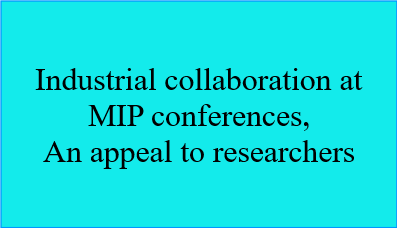 Iskierko Z et al., Extended-gate field-effect transistor (EG-FET) with molecularly imprinted polymer (MIP) film for selective inosine determination. Sharma PS et al., Bioinspired intelligent molecularly imprinted polymers for chemosensing: A mini review. Dabrowski M et al., Early diagnosis of fungal infections using piezomicrogravimetric and electric chemosensors based on polymers molecularly imprinted with d-arabitol. Iskierko Z et al., Molecularly Imprinted Polymer (MIP) Film with Improved Surface Area Developed by Using Metal-Organic Framework (MOF) for Sensitive Lipocalin (NGAL) Determination. Iskierko Z et al., Molecularly imprinted polymers for separating and sensing of macromolecular compounds and microorganisms. Bartold K et al., Programmed Transfer of Sequence Information into a Molecularly Imprinted Polymer for Hexakis(2, 2'-bithien-5-yl) DNA Analogue Formation toward Single-Nucleotide-Polymorphism Detection. Iskierko Z et al., Molecularly imprinted polymer based extended-gate field-effect transistor chemosensors for phenylalanine enantioselective sensing. Iskierko Z et al., (Invited) Application of Extended-Gate Field-Effect Transistor Sensors with Molecularly Imprinted Polymer Recognition Layers for Determination of Renal Dysfunction Biomarkers. Iskierko Z et al., Molecular recognition by synthetic receptors: Application in field-effect transistor based chemosensing. Sharma PS et al., Synthesis and application of a "plastic antibody" in electrochemical microfluidic platform for oxytocin determination. Azizi ES et al., Porogen effect towards the quality of curcumin imprinted polymer. Nasir AM et al., Heparin imprinted polymer prepared by sol-gel process on silica microparticles surface: Analysis of template removal and binding performance. Krishnan H et al., Rational computational design for the development of andrographolide molecularly imprinted polymer. 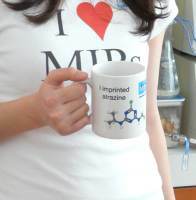 Islam MR et al., Responsive polymers for analytical applications: A review. Ara B et al., Preparation of microspheric Fe(III)-ion imprinted polymer for selective solid phase extraction. Tahir I et al., Computer aided design of molecular imprinted polymer for selective recognition of capsaicin. Naeimi H et al., Designable Metal/PMO Nanocomposite and Preparation by a Surface Imprinting Technique Combined with a Sol-Gel Process for Catalytic Click Reaction. Özkütük EB et al., Selective Solid-Phase Extraction of Cd(II) Using Double Imprinting Strategy. Özkütük EB et al., Single and double imprinted polymer for selective recognition of Cd(II) ions in aqueous media. Jakoby B et al., A novel molecularly imprinted thin film applied to a Love wave gas sensor. Kenawy IM et al., Synthesis and characterization of novel ion-imprinted guanyl-modified cellulose for selective extraction of copper ions from geological and municipality sample. Calmes M et al., Supramolecular asymmetric induction : A new concept applied to the supported enantioselective synthesis of a-amino acids. Medine A et al., Analysis of selective adsorption of Cu(II) on Cu(II)-imprinted acrylonitrile-co-styrene microspheres by FAAS. Chen D et al., Preparation of novel mercury ion imprinted polymer and its adsorption properties. Lv XH et al., Preparation of micro pore structured ion imprinted polymer of Pb(II) and analysis of its adsorption characteristics by FAAS. Nakashima A et al., Metal ion-template syntheses of hybrid resins and the template effect on their selectivities for metal ions. Kitayama Y et al., Gas-stimuli-responsive molecularly imprinted polymer particles with switchable affinity for target protein. Bakas I et al., Molecular imprinting solid phase extraction for selective detection of methidathion in olive oil. Bakas I et al., Computational and experimental investigation of molecular imprinted polymers for selective extraction of dimethoate and its metabolite omethoate from olive oil. Ben Oujji N et al., Enzymatic biosensor associated with Molecularly Imprinted Polymers for sensitive and selective detection of organophosphorus insecticides in olive oil. Mishra RK et al., Sensitive quantitation of Ochratoxin A in cocoa beans using differential pulse voltammetry based aptasensor. Ekomo VM et al., Detection of Bisphenol A in aqueous medium by screen printed carbon electrodes incorporating electrochemical molecularly imprinted polymers. Bakas I et al., Molecularly imprinted polymer cartridges coupled to high performance liquid chromatography (HPLC-UV) for simple and rapid analysis of fenthion in olive oil. Aftim N et al., Biosensor-assisted selection of optimal parameters for designing molecularly imprinted polymers selective to phosmet insecticide. Fizir M et al., QbD approach by computer aided design and response surface methodology for molecularly imprinted polymer based on magnetic halloysite nanotubes for extraction of norfloxacin from real samples. Lee K et al., Protein-imprinted polysiloxane scaffolds. Ariga K et al., Molecular recognition: from solution science to nano/materials technology. Akashi M et al., Imprinting of nucleosides and nucleotides in polyacrylamide gel. Enoki T et al., Frustrations in polymer conformation in gels and their minimization through molecular imprinting. Ito K et al., Multiple point adsorption in a heteropolymer gel and the Tanaka approach to imprinting: experiment and theory. Sakamoto Y et al., Determination of Chloramphenicol in Honey and Royal Jelly by Sample Clean-up with Molecular Imprinted Polymer. Hattori K et al., Effect of electrostatic interactions on gate effect in molecularly imprinted polymers. Nakamura M et al., Uniformly sized molecularly imprinted polymer for atropine and its application to the determination of atropine and scopolamine in pharmaceutical preparations containing Scopolia extract. Samatya S et al., The effect of polystyrene as a porogen on the fluoride ion adsorption of Zr(IV) surface-immobilized resin. Mizuki H et al., Zr(IV)-Immobilized Resin Prepared by Surface Template Polymerization for Fluoride Ion Removal. Mine Y et al., Enhanced enzyme activity and enantioselectivity of lipases in organic solvents by crown ethers and cyclodextrins. Itou Y et al., Optical resolution of racemic amino acid derivatives with molecularly imprinted membranes from tetrapetide consisting of glycinyl residues. Iturralde I et al., The effect of the crosslinking agent on the performance of propranolol imprinted polymers. Pavlyuchenko VN et al., Polymer hydrogels with the memory effect for immobilization of drugs. Kulvelis YuV et al., Investigation of polymer hydrogels with memory effect for cefazolin immobilization by small-angle neutron scattering (Original Russian Text © Yu.V. Kul'velis, V.T. Lebedev, V.A. Trunov, S.S. Ivanchev, O.N. Primanchenko, S.Ya. Khaikin, 2012, published in Poverkhnost'. Rentgenovskie, Sinkhrotronnye i Neitronnye Issledovaniya, 2012, No. 10, pp. 45 - 52. ). Evtugyn G et al., Molecularly Imprinted Polymerized Methylene Green as a Platform for Electrochemical Sensing of Aptamer-Thrombin Interactions. Dakova I et al., Solid phase selective separation and preconcentration of Cu(II) by Cu(II)-imprinted polymethacrylic microbeads. Burova TV et al., Thermoresponsive Copolymer Cryogel Possessing Molecular Memory: Synthesis, Energetics of Collapse and Interaction with Ligands. Sergeyeva TA et al., Sensor System for Sulfamethoxazole Detection Based on Molecularly Imprinted Polymer Membranes. Losev VV et al., The effect of selective absorption sites in the diffusion processes in polymer films (Original Russian Text © V.V. Losev, A.V. Roshchin, I.D. Epinat’ev, N.A. Ivanova, and I.V. Kumpanenko, 2010, published in Vysokomolekulyarnye Soedineniya, Ser. A, 2010, Vol. 52, No. 3, pp. 456–465.). Bloshenko AV et al., An analysis of absorption-desorption of volatile organic compounds by molecularly imprinted polymer films. Ivanova-Mitseva PK et al., Cubic Molecularly Imprinted Polymer Nanoparticles with a Fluorescent Core. Des Azevedo S et al., Molecularly Imprinted Polymer-Hybrid Electrochemical Sensor for the Detection of [beta]-Estradiol. Lakshmi D et al., Computational Design and Preparation of MIPs for Atrazine Recognition on a Conjugated Polymer-Coated Microtiter Plate. Ivari SAR et al., Ion imprinted polymer based potentiometric sensor for the trace determination of Cadmium (II) ions. Masunaga K et al., Development of sensor surface with recognition of molecular substructure. Yoshizako K et al., Porogen imprinting effects. Hosoya K et al., An unexpected molecular imprinting effect for a polyaromatic hydrocarbon, anthracene, using uniform size ethylene dimethacrylate particles. Iwanowska A et al., Selective adsorption of modified nucleoside cancer biomarkers by hybrid molecularly imprinted adsorbents. Iwasaki H et al., Molecularly imprinted polyacrylonitrile adsorbents for the capture of Cs+ ions. Morita M et al., Selective electrochemical detection of catechol and catecholamines on modified electrodes with molecular template. Suzuki A et al., Preparation of shape selective acid catalysts by a surface molecular imprinting method. Suzuki A et al., Design of catalytic sites at oxide surfaces by metal-complex attaching and molecular imprinting techniques. Tada M et al., Performance and kinetic behavior of a new SiO2-attached molecular-imprinting Rh-dimer catalyst in size- and shape-selective hydrogenation of alkenes. Tada M et al., Design, characterization and performance of a molecular imprinting Rh-dimer hydrogenation catalyst on a SiO2 surface. Tada M et al., Novel SiO2-attached molecular-imprinting Rh-monomer catalysts for shape-selective hydrogenation of alkenes; preparation, characterization and performance. Tada M et al., Design of molecular-imprinting metal-complex catalysts. Tada M et al., Molecular-imprinted metal complexes for design of catalytic structures. Tada M et al., Approaches to design of active structures by attaching and molecular imprinting of metal complexes on oxide surfaces. Tada M et al., Design of a novel molecular-imprinted Rh-amine complex on SiO2 and its shape-selective catalysis for a-methylstyrene hydrogenation. Tada M et al., Advanced chemical design with supported metal complexes for selective catalysis. Tada M et al., Advanced design of catalytically active reaction space at surfaces for selective catalysis. Hamase K et al., Enantio-selective derivatization of amino compounds in the presence of a molecular imprint polymer. Hamase K et al., Selective masking of amino groups during fluorescence derivatization in the presence of a molecular imprint polymer. Kodakari N et al., Molecular sieving silica overlayer on g-alumina: The structure and acidity controlled by the template molecule. Iwata K et al., Preparation of Fluorescent Molecularly Imprinted Polymer Micropowder for Odorant Visualization. Lahcen AA et al., Synthesis and electrochemical characterization of nanostructured magnetic molecularly imprinted polymers for 17-[beta]-Estradiol determination. Capoferri D et al., MIP-MEPS based sensing strategy for the selective assay of dimethoate. Application to wheat flour samples. Kamata K et al., Voltammetric anion recognition by a highly cross-linked polyviologen film. Kamata K et al., Size-dependent photochemical anion recognition by ion-templated polyviologen film. Kamata K et al., Anion-controlled redox process in a cross-linked polyviologen film toward electrochemical anion recognition. Izake EL, Chiral discrimination and enantioselective analysis of drugs: An overview. Izenberg NR et al., Astrobiological molecularly imprinted polymer sensors. Campanella B et al., New polymeric sorbent for the solid-phase extraction of indole-3-acetic acid from plants followed by liquid chromatography - Fluorescence detector. Yoshikawa M et al., Molecularly imprinted polymeric membranes for optical resolution. Yoshikawa M et al., Molecularly imprinted polymeric membranes containing DIDE derivatives for optical resolution of amino acids. Yoshikawa M et al., Enantioselective electrodialysis of N-a-acetyltryptophans through molecularly imprinted polymeric membranes. Yoshikawa M et al., Alternative molecularly imprinted polymeric membranes from a tetrapeptide residue consisting of D- or L-amino acids. Yoshikawa M et al., Enantioselective electrodialysis of amino acids with charged polar side chains through molecularly imprinted polymeric membranes containing DIDE derivatives. Yoshikawa M et al., Chiral recognition of N-a-acetyltryptophans with molecularly imprinted polymeric membranes containing DVNE derivatives. Yoshikawa M et al., Molecularly imprinted polymeric membranes involving tetrapeptide EQKL derivatives as chiral-recognition sites toward amino acids. Yoshikawa M et al., Carboxylated polysulfone membranes having a chiral recognition site induced by an alternative molecular imprinting technique. Yoshikawa M et al., Alternative molecular imprinting, a facile way to introduce chiral recognition sites. Yoshikawa M et al., Molecularly imprinted polymeric membranes having EFF derivatives as a chiral recognition site. Yoshikawa M et al., Novel membrane materials having EEE derivatives as a chiral recognition site. Yoshikawa M et al., Novel polymeric membranes having chiral recognition sites converted from tripeptide derivatives. Yoshikawa M et al., Recognition and selective transport of nucleic acid components through molecularly imprinted polymeric membranes. Yoshikawa M et al., Chiral recognition sites converted from tetrapeptide derivatives adopting racemates as print molecules. Izumi JI et al., Enantioselective Permeation of Racemic Glutamic Acid through Alternative Molecularly Imprinted Cellulose Acetate Membranes. Yoshikawa M et al., Alternative molecularly imprinted membranes from a derivative of natural polymer, cellulose acetate.